One down, eight more to go! This past Sunday on June 5th, I ran and completed the Retro 4-Miler 2016. This was my first qualifying race for the 9+1 program to gain entry into the New York City Marathon of 2017. As a New York Road Runners member, I have to complete nine scored races and volunteer at an event to enter next year’s marathon. It felt great to race again (it has been six years!) and I loved the team spirit that New Yorkers brought to Central Park. Follow me on this new segment as I document my racing experiences and the challenges of training for the marathon. Check out my calendar to see which races I’m signed up for and if you’re in town, you should come by to cheer! Today, I’m sharing five reflections on this past Sunday’s race. 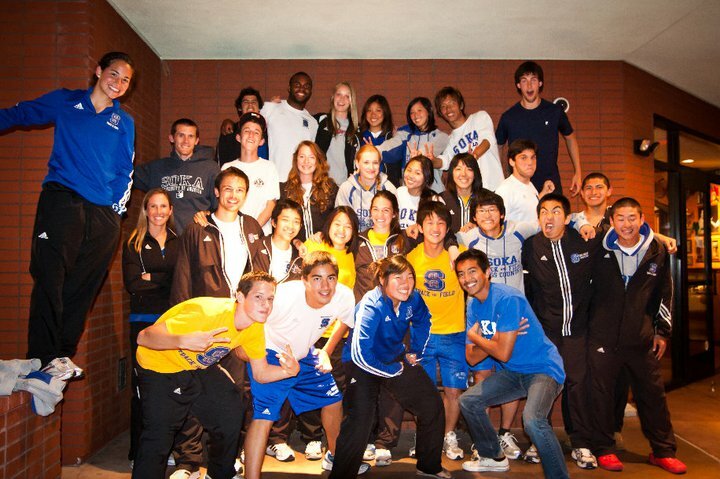 I will always run for Soka University of America. Having spent four years with the Track & Field and Cross Country teams with a bunch of insane comrades who woke up before the sun to run a few miles on daily basis has permanently altered my DNA. Once a runner, always a runner. Running runs in my blood (no pun intended). This past Sunday, I proudly wore my uniform and showed everyone what SUA’s team is about: commitment, compassion and courage. It’s remarkable to see how far I’ve come since that fateful day in August 2007 when I signed up to run Cross Country with six other powerful women. None of this could have happened without my coaches and teammates continuously assuring me that my commitment is the most important thing to be a successful athlete. Team, I will make you proud! As a team, we always chanted, “Heart of a lion, heart of a champion, can’t be defeated!” before our races. We went in with the mindset that we’re going to win, no matter what. Weakness was never an option. During this race, my knees ached and my mind kept telling me to slow down and jog for a bit. My mind and body had moments where they tried to break down my spirit and that happens all the time. But I refused to be defeated and ran my hardest throughout. I know that as I become stronger and more capable, my mind and body will also become more persistent about holding me back. But I am not going to let that happen. The heart will find a way to keep pushing despite physical pain and emotional doubt. I’m going to need that if I’m planning to burn those 26.2 miles to the ground. Since I graduated long ago and my teammates are scattered around the world, I train alone. And that’s tough. Most of them are with me in spirit so I’m not really alone. However, there is no one here to keep me accountable for my actions. It’s easy to be tempted by the millions of excuses that seem valid enough as to why I should skip my workout. Whenever I see solo runners, I empathize and feel a deep sense of respect for them because I know just how challenging that is. 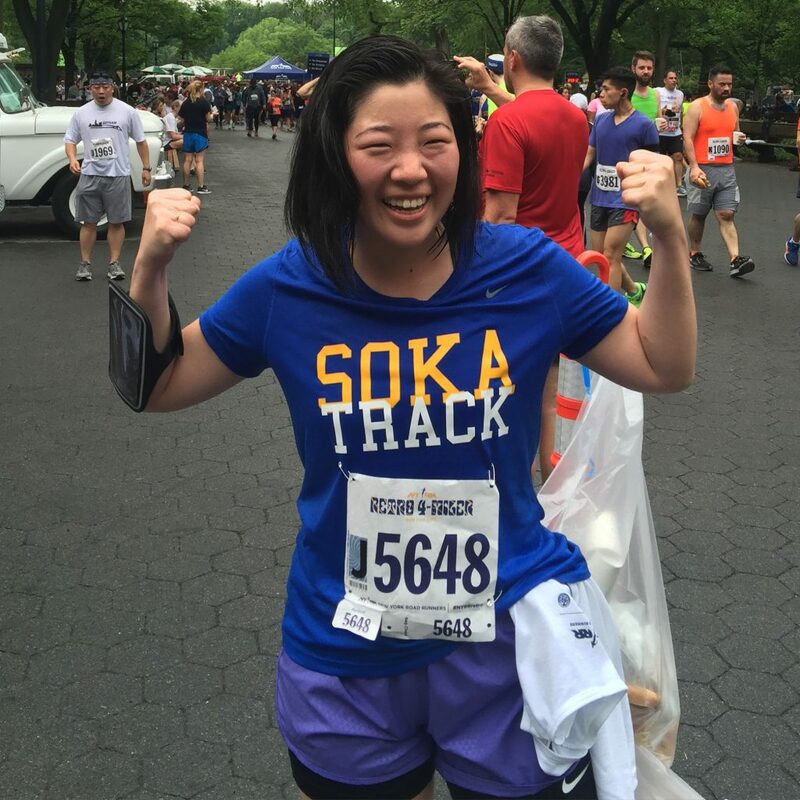 Race day was great because I ran side-by-side with over five thousand New Yorkers who helped me maintain a solid pace and kept me motivated through each of those four miles. Now, I’m back to running alone but it’s only another two weeks until I get to race again with thousands of other athletes. If they can do it, I think can manage to throw on my trainers and go for that solo run. Steve Prefontaine, or simply Pre, once famously said “You have to wonder at times what you’re doing out there. Over the years, I’ve given myself a thousand reasons to keep running, but it always comes back to where it started. It comes down to self-satisfaction and a sense of achievement.” I had these words in my dorm during all four years and woke up to it every morning before practice. Running is an absurd sport and anyone doing it has to be a little bit crazy. Sometimes, I really have no idea why I do it because it’s cruel and it’s like punishment. But, at the same time, it’s incredible to do something outrageous and finish a race feeling like I’m going to collapse because I have nothing else left. To make matters worse, it’s something I’m willing to go through over and over again. If satisfaction is what running comes down to, then I always need to be in beast mode. My goal is to run (not jog and absolutely no walking) and give it all that I have. Towards the end of the race, one lady yelled, “If you’re not lapping anyone, you’re not running hard enough!” I thought, “Damn, she’s right!” and after lapping almost thirty people, I sprinted through the finish line. It was exhilarating. I couldn’t walk properly for a few minutes but I finished strong. And the thing about racing is that at the end of it, it’s never truly satisfying. I’m left hungrier for the next race and wondering how I’ll accomplish my next goal. I have and will always respect athletes. Sports are the rawest expression of human strength, determination and commitment. It has been a while since I raced with a huge group of people so it felt great to be back in the game. What captivated me most about the race was the amount of New Yorkers who willingly woke up early to come together, show their retro spirit and obliterate those four miles. I’m truly honored to be one of them. A little bit of rain and wind didn’t stop any of us. Let’s stay strong, New York and see you at the next race!